Your neighborhood FastMed is without a doubt, the number one DOT physical exam location. 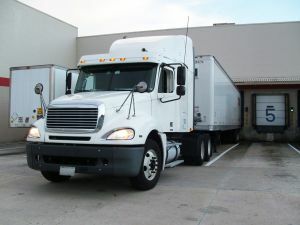 Since a DOT physical exam is required in order to operate a commercial vehicle, we play an essential part in maintaining or beginning your career. FastMed is staffed with medical professionals who have the necessary certifications to conduct the DOT physical and are dedicated to providing the best quality care for all of your basic health needs. Pharmacy/Convenient Care Clinics: these types of clinics provide basic and routine care and are typically located in drug stores or supermarkets. There is no guarantee that the necessary certified medical professional will be on duty at the time of your visit. Additionally, the facility may not be properly equipped to provide any additional care you may need during the exam. Physician’s Office: If your doctor is certified to provide DOT physical exams, then they will certainly be able to conduct the exam. However, an appointment will be necessary in order to see the doctor and visits to your physician’s office may have a steep price tag in comparison to FastMed. FastMed Urgent Care: FastMed Urgent Care is very convenient due to our extended hours and availability on weekends. Our staff includes certified medical professionals who are able to successfully conduct the exam for you and our facility is equipped to handle an assortment of other medical needs, such as vaccinations. Most major insurance carriers are accepted and if you do not have insurance coverage, our discount plan may be able to help. No appointment is needed at FastMed and we are located in a variety of cities within Arizona and North Carolina. Our facilities are conveniently located near highways, making it one of the most convenient DOT physical exam locations available to busy drivers. Stop by FastMed and experience quality care that doesn’t break the bank!